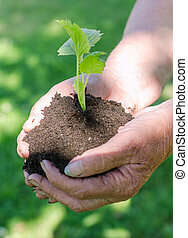 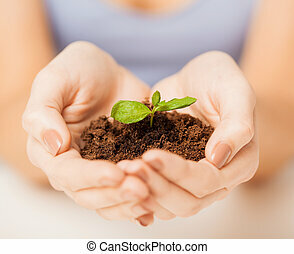 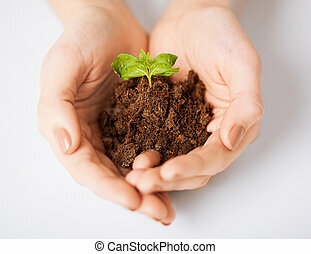 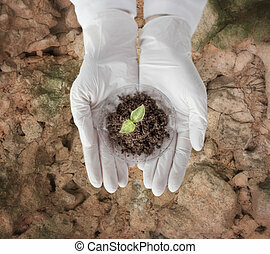 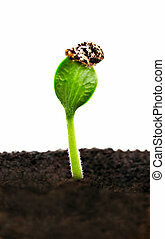 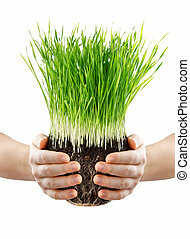 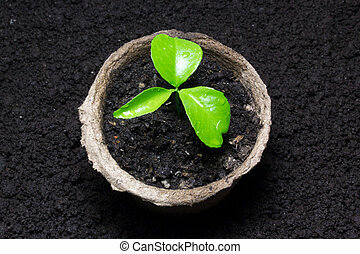 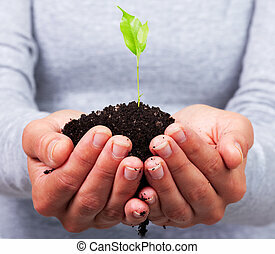 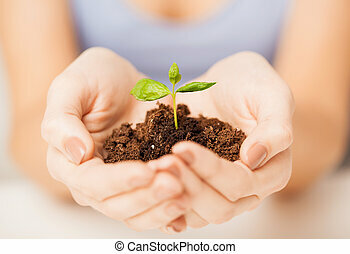 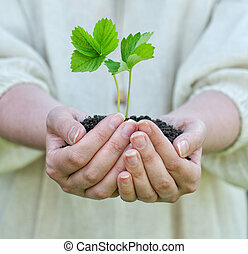 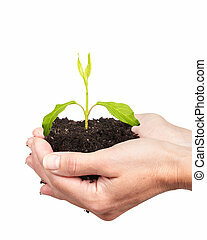 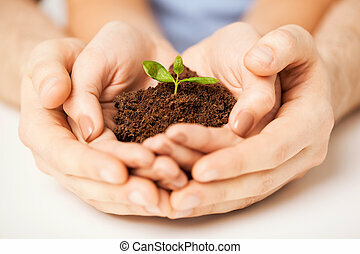 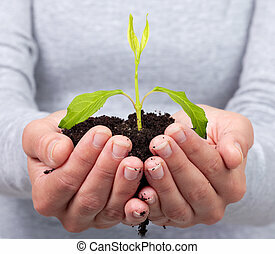 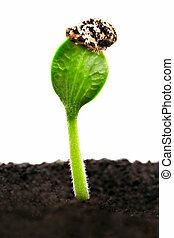 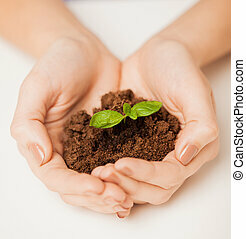 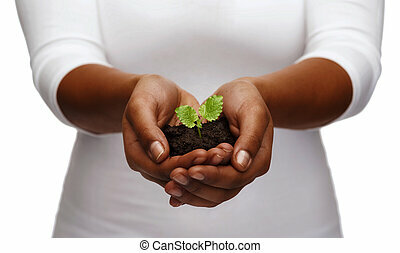 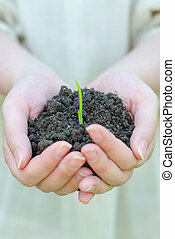 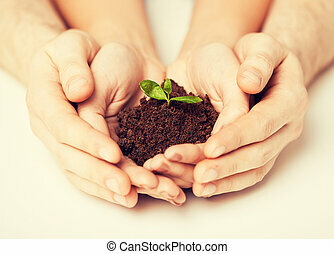 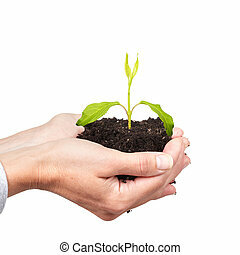 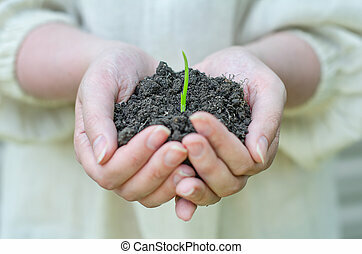 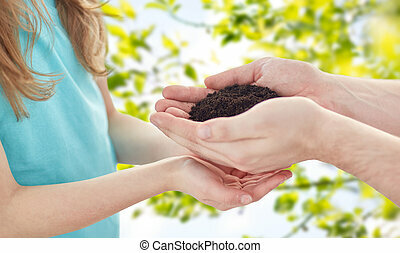 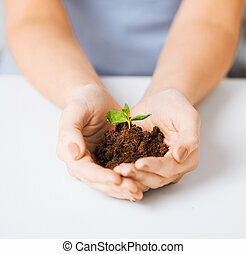 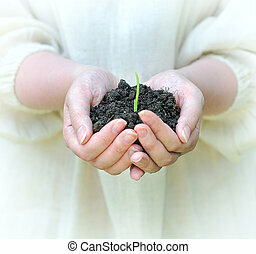 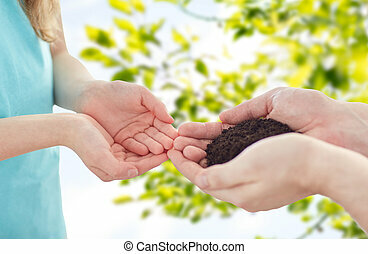 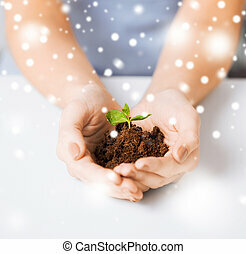 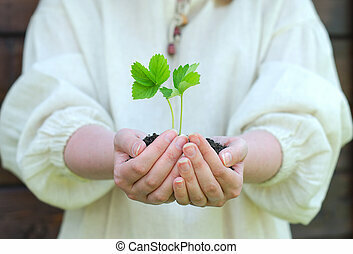 Eco, bio, environment, growth, care concept - woman hands with green sprout and ground. 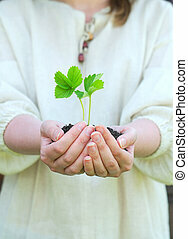 Woman hands with green plant. 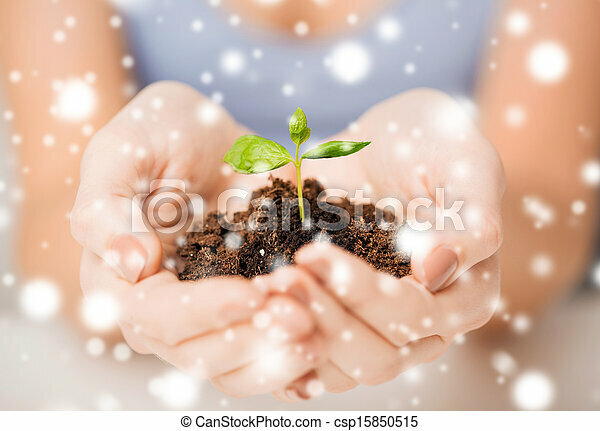 Growth concept background.